HomeMusic VideosNEWS: While She Sleeps reveal “Elephant”! 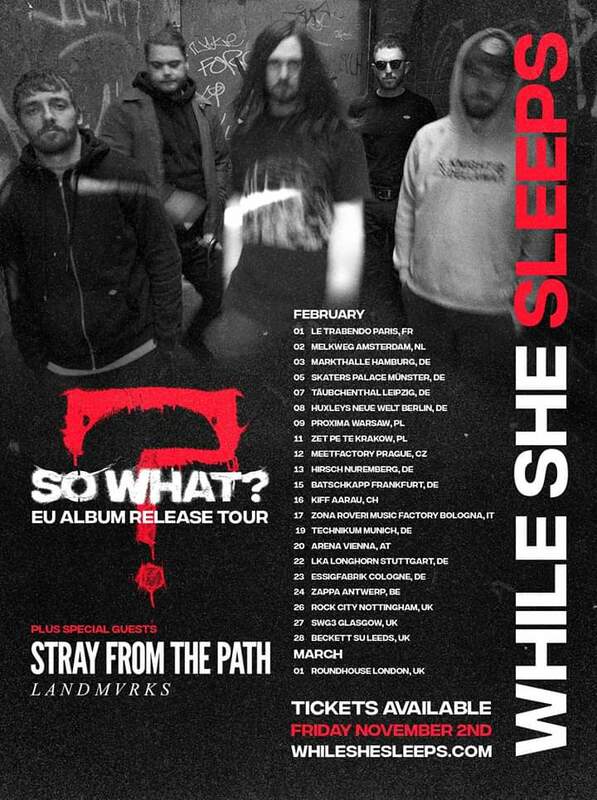 It’s also not long until 1st March and the release of the new While She Sleeps album “So What?”. The Sheffield Metalcore heroes will be headlining a show at London’s Roundhouse on the day of the release that will see them sharing the stage with Stray From The Path, Landmvrks and Trash Boat. In the meantime they’ve released a lyric video for new song “Elephant” so you can sing along on the night! NEWS: Power Trip release new single “Hornet’s Nest”! NEWS: “Still Life” unplugged from Hollow Front!